Competition between vehicles in the same segment is always fierce, especially when it’s in the small sedan or compact car market. Take the 2017 Chevy Cruze vs 2017 Honda Civic, for example, where the Cruze ended up creating a massive upset in the car market because of how successful it’s become. Now, the Cruze is Chevrolet’s number one global selling vehicle, spelling trouble for the other companies that are trying to make a name for themselves in the compact car segment – like Honda, for instance, with its long-standing Civic. Some might even consider the Civic an outdated model, particularly when compared to how new the Cruze is. Of course, that’s not the only reason why the Cruze has become so successful. Check out how the two models compare, and you’ll see exactly why the Cruze outshines the Civic. Between the 2017 Civic not having nearly as many safety features as the 2017 Cruze, and its forward collision warning’s overly vigilant nature being frustrating (going off prematurely), and slow-responding adaptive cruise control system; the Civic just can’t hold a candle to the Cruze when it comes to safety. Unlike the Civic, the Cruze has Teen Driver technology on board for 2017, which is essentially a watch dog system for parents who can’t be with their teens behind the wheel all the time. With this system installed and a corresponding PIN code, you can set certain parameters like speed and volume, and look at the in-vehicle report card when the Cruze is back in your yard the next day. 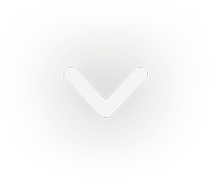 After punching in the PIN to see the report card, you’re able to view information like if there was an overspeed warning, whether advanced safety systems activated, how far the car drove, and plenty of other information that would prove beneficial to keeping your teenager safe and teaching ideal driving skills. Other notable safety features the Cruze has that the Civic doesn’t are rear park assist, rear cross traffic alert, forward collision alert, side blind zone alert, and an automatic crash response system. All of which the Civic is, surprisingly, missing out on. All of this should really show you how outdated the 2017 Civic actually is. Even with that fresh redesign it received last year, the Honda Civic doesn’t have nearly as many safety features that the 2017 Cruze does. Not to mention, the Teen Driver technology suite is currently still quite unique to Chevy models. We’ve yet to see another system like it hit the market. So, depending on who, aside from you, will be driving your car, you might opt to err on the optimal side of safety and choose the Chevy Cruze over the Civic. With the performance of the 2017 Chevy Cruze, it’s hard for most other nameplates to compete, honestly. The Cruze is a front-wheel drive model that’s paired to a 1.4-liter four-cylinder engine, rated at 153 horsepower and 177 lb.-ft. of torque. A six-speed manual transmission comes standard on the L, LS, and LT trims; whereas, a six-speed automatic is optional for the LS and Lt trim levels. The range-topping Premier trim gets that automatic transmission as standard fare. But, buying that automatic transmission is well worth the money. Simply because it’s easier to drive, but also because you also get an automatic engine stop-start feature to save fuel when the car isn’t moving – as in, time spent idling at a long red light, or in a traffic jam in the city or on the highway. 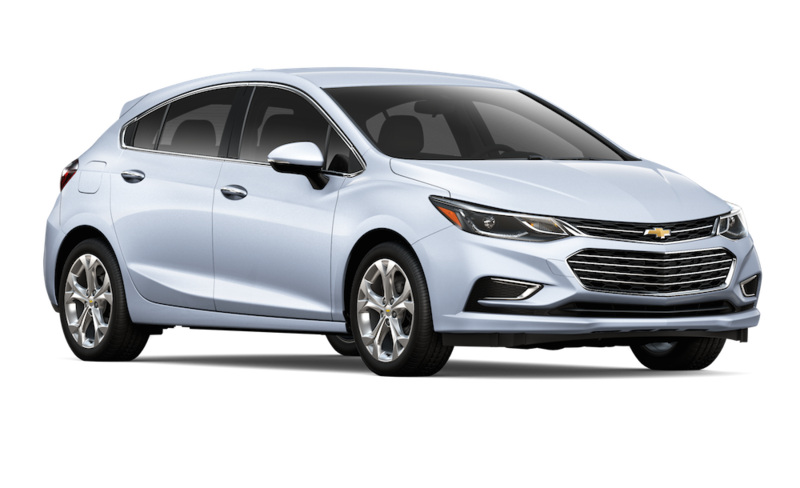 This gives the Cruze 28 mpg city and 39 mpg highway with the manual transmission; 29 mpg city and 39 mpg highway with the automatic transmission and stop/start engine technology. Overall, the fuel economy numbers are quite good for a small sedan. The 2017 Honda Civic might return 1 mpg more on highway when compared to the Cruze, thanks to an optional engine, but the Cruze still has the Civic beat in terms of standard torque and fuel-efficiency. With the Cruze’s torque measured at 177 lb.-ft. and the Civic’s base 2.0-liter engine sitting at 138 lb.-ft, which, as we all know, is where the acceleration comes from. Therefore, the Cruze is going to feel far peppier when you step on the gas pedal. 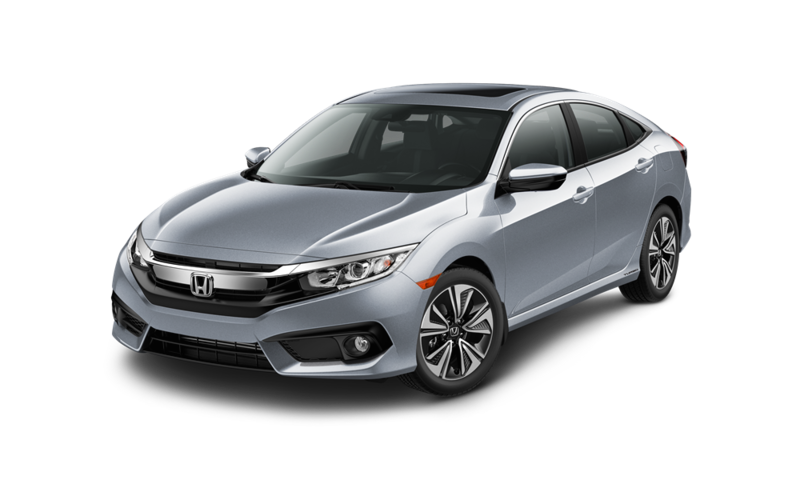 However, the Honda does have a one-up on the Cruze, thanks to its turbocharged 1.5-liter engine that increases the power and fuel economy of the Civic. Of course, that’s going to cost you extra. Whereas the Cruze — regardless of trim level — won’t have any extra costs tacked on to get its peak performance. At this point, it boils down to preference. Just understand that when it comes to standard performance, the Cruze wins out. All without having to pay extra for optimal performance. The 2017 Cruze is actually more than one-inch longer and almost two-inches higher than the Civic. This must mean the Cruze gets better passenger and cargo space, right? While that’s not always the case, in this situation, it’s a balance between yes and no. As far as legroom, they’re too close to call. Simply because both models have a wheelbase of 106.3 inches, a huge factor when it comes to legroom. Where the Cruze does beat the Civic, is in rear hip room. It beats it by quite a lot actually, with 51.90 inches found across the seat in the back for hip room. Compared to the Civic’s 47.30 inches, it’s going to feel like you can fit an extra person in the back. Just like legroom and head room are too close to call, the cargo space of each sedan is practically the same. It’s hard for a small sedan to even come close to touching the Cruze’s trunk space, and the Honda Civic is one of the few to actually beat it. The 2017 Cruze is sitting at 14.8 cu. ft. of trunk space, whereas the Civic has 15.1 cu. ft.
Actually, it’s fair to call this a win-win situation for both vehicles, since the Cruze and Civic both end up boasting an above-average size trunk for a small sedan. Here’s where the Civic loses to the Cruze, though. That 0.3 extra cu. ft. isn’t going to be worth the almost extra $2,000 starting MSRP the Civic prices at compared to the Cruze’s much more affordable sticker. Combine that with the fact they have practically similar fuel economy as well, which one would you pick to save money? My guess isn’t the Civic that only has an extra 0.3 cu. ft. of storage space in the trunk.